Since June 2014, the price of crude has dropped by over half, causing energy producers to tighten their belts, slash future budgets and reduce operating rig counts. While this pricing environment has been good for consumers at the gasoline pump, it is predicted that several states will face a serious economic fallout from the drastic drop in prices. As the largest oil producing state in the country, Texas surely will feel the effects. But, exactly how are low oil prices affecting the Texas economy? As it turns out, Texas may not be as vulnerable as first imagined. In Texas, oil and gas taxes are only 9 percent of the state's general fund, vastly lower than that of other energy states such as Alaska (79%) North Dakota (46%) and Wyoming (40%). The energy industry has always been a dominant force in Texas, but since a similar crisis in the 80s, we have worked to build a much more diverse economy that no longer relies solely on oil to thrive. The following overview gives the latest statistics for how Texas compares to the rest of the country on some key economic indicators (updated 3/6/15). UNITED STATES: 257,000 nonfarm jobs added in January 2015 and the unemployment rate was 5.6%. 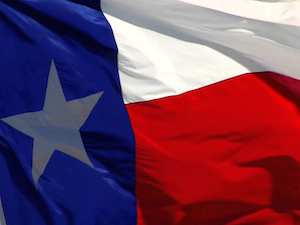 TEXAS: Nonfarm employment increased by 41,100 jobs during December 2014. During 2014 total nonfarm employment increased by 457,900 jobs or 3.886%t. Texas unemployment rate was 4.6% for December 2014, down from 6.0% in December 2013 and has been at or below the national rate for 96 consecutive months. The Texas region's consumer confidence index was 117.0 in February 2015, up 0.3% percent from January 2015, and 4.7 percent higher than one year ago. Sales tax collections in fiscal 2015 through January were 11.2% above collections for the same period in fiscal 2014.